Powerful and versatile, the Lenovo M91p desktop PC is designed for people who demand vibrant colors and great multimedia performance. The Lenovo M91p desktop PC is a perfect addition for enjoying entertainment, running utilities, and doing online banking. This desktop PC has a built-in Intel HD Graphics 2000 graphics processor that makes watching viral videos vibrant and lightning-fast. Furthermore, this 3.1 GHz desktop is well-designed, sporting a tower design, so you can set it up anywhere on a desk or computer station. 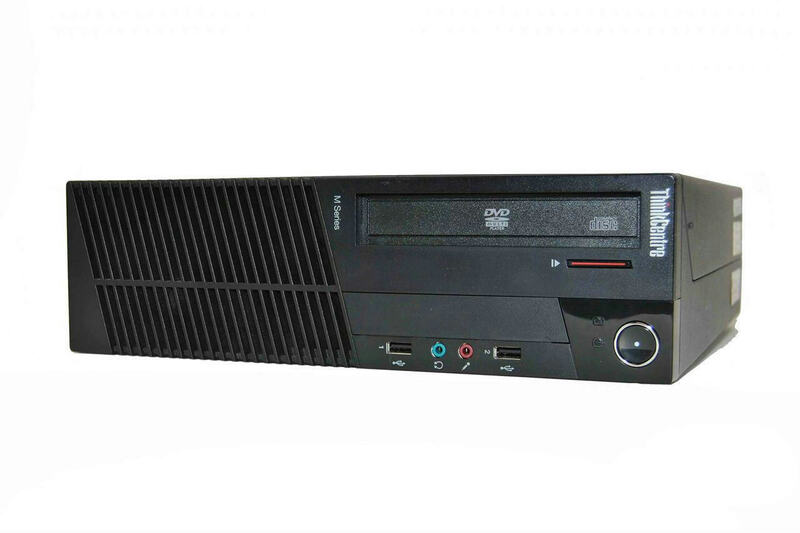 You can take advantage of enhanced system performance when transferring files and performing calculations because the Lenovo M91p desktop PC has 4 GB of DDR3-SDRAM. You can edit videos, communicate with video chat, and launch applications with blazing speed since this desktop PC comes with a power-packed 3.1 GHz Intel Core i5 CPU. The 500 GB hard drive found on this 3.1 GHz desktop makes it easy for you to take advantage of a large amount of room for your photo library, productivity software, and data files.